Pure white sands and clear blue waters surrounded by spectacular red cliffs await you and your family at Francois Peron National Park in Shark Bay. With so many different things to do, from kayaking to snorkelling, there’s no better way to get everyone to put their phones down for a while and enjoy the natural world around them. Francois Peron National Park is 820km north of Perth and can be reached by car, bus, or by flying into the Shark Bay (Monkey Mia) airport. To go north of the Peron Heritage Precinct and access the majority of the park, you’ll need a four-wheel drive vehicle. You’ll be driving over soft sands, so make sure you pay attention to road signs and let your tyres down before you head out further into the park – you’ll be able to refill them on your way out. Even if you don’t have a 4WD vehicle, don’t let that stop you from visiting the park – you can still explore the historic Peron Heritage Precinct and enjoy an informational guided tour. To help you plan out your next trip, here are seven fun things you can do with your family at the park. A guided tour of Francois Peron National Park is the perfect solution for families without a 4WD vehicle or anyone else who wants to learn more about the history of the area and the wildlife that inhabits it. A specialist tour guide will take you and your family on a day-long adventure through the most breathtaking spots on the peninsula. You’ll be able to see endangered species, explore the rich natural landscape, and even snorkel in the crystal-clear waters of Bottle Bay. 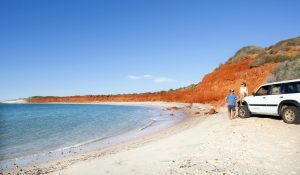 Guided 4WD tours of the park can be booked through Shark Bay World Heritage Discovery Centre. Spending a relaxing afternoon exploring the Peron Heritage Precinct is a great way to learn more about the cultural and natural aspects of the park. Formerly a working pastoral station in the early 20th century, you can check out an old shearing shed and stockyards to see what life on the farm would have been like. The visitor display provides information about the history of the local Aboriginal people and the endangered wildlife species that you can find in the area. After taking a brief self-guided tour of the Homestead, you can have a soak in the artesian hot tub or grill up some lunch on the barbecue and picnic on the lawn. If you and your family want to see marine life, you won’t find a better view than at Skipjack Point. You’ll be able to spot dolphins, turtles, manta rays, sharks, birds, dugongs, and other marine life from the observation areas above. Shark Bay is famous for its amazing fishing spots, and Francois Peron National Park is no exception. Because it’s only accessible with a 4WD vehicle, it’s the perfect place to go if you prefer peace and quiet over crowded beaches. Some of the top beach fishing spots in the park include Big Lagoon, Bottle Bay, Gregories, South Gregories, and Herald Bright. You can expect to catch bream, whiting, and flathead on these beaches – just keep in mind that the northern part of Big Lagoon is a sanctuary zone where fishing is not permitted. Shark Bay looks beautiful from the shore, but it’s even more breathtaking from water level. If you’re visiting the park in the winter when the winds are low, that’s the best time of year to pick up a paddle and do some sea-kayaking, canoeing, or paddle boarding. Active adventurers can head to Little Lagoon or Big Lagoon for an unforgettable experience full of amazing natural sights – just make sure you check the tides and wind forecast before you go. Explore colourful corals and see the tropical fish of Shark Bay up close when you and your family go snorkelling off the coast of Francois Peron National Park. With their clear and shallow waters, Bottle Bay, Little Lagoon, and Gregories are the park’s most popular snorkelling spots. Francois Peron National Park is home to some of the rarest animal species in the world, making it the perfect place for bushwalking. You can find interesting reptiles like the thorny devil and the woma python, endangered bird species like the western grasswren, and an abundance of wildflowers and other flora growing along the sandy trails. Just make sure you bring plenty of water and sun protection, especially in the summer months. Before you and your family head out to enjoy the park, make sure you’re properly prepared for the trip. That means bringing plenty of fresh water, first aid supplies, fuel, sun protection, and food as these things are not available in the park. It also means being aware of and following all the necessary safety precautions. Wear reef shoes and shuffle your feet when walking into shallow water to prevent stepping on stingrays and stonefish. 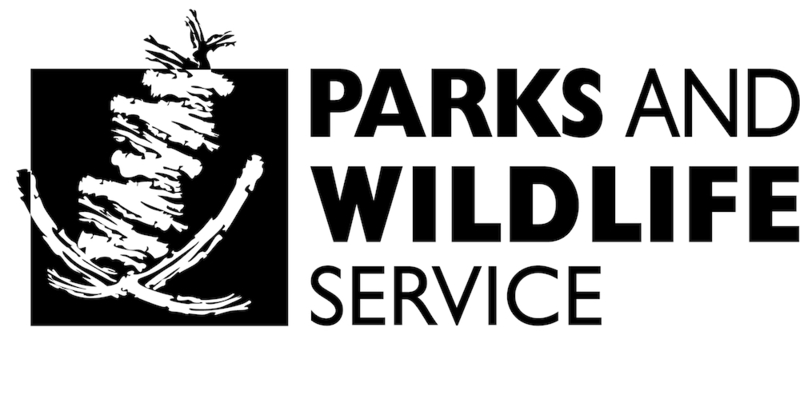 Campfires are not permitted – bring gas appliances or use the free gas barbecues available at the park for cooking. If you’re driving a 4WD vehicle into the park, make sure you have the appropriate permit, plenty of fuel, a shovel, and at least one spare tyre. There’s plenty more to do just outside of Francois Peron National Park – see the Monkey Mia dolphins, go fishing in Denham, enjoy the views from Eagle Bluff, see the impressive expanse of shells at Shell Beach or the prehistoric stromatolites of Hamelin Pool. If you have an adventurous spirit and a love of nature, you’ll never run out of things to do! So whether you plan to fish, explore, or just relax on the beach, Shark Bay is the perfect holiday spot. To start planning your visit, you can find more information on our website, the Shark Bay World Heritage Discovery Centre, or by calling the Parks and Wildlife Service on (08) 9948 2226.